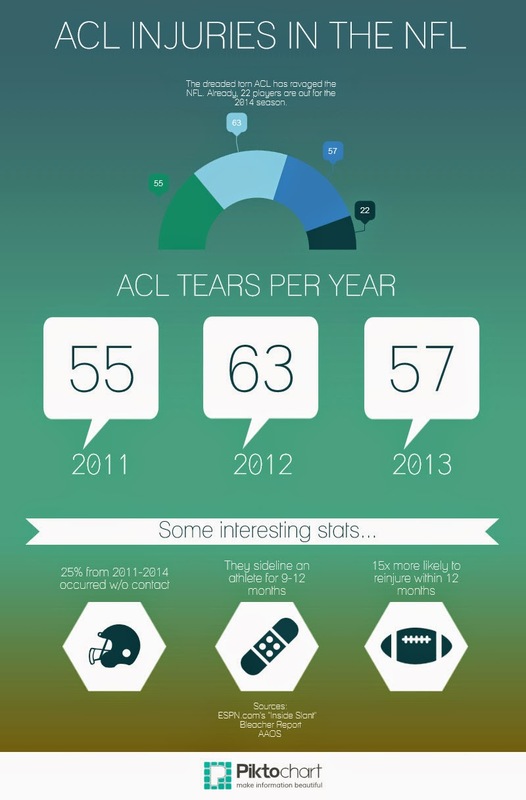 ACL injuries seem to be so prevalent in professional sports these days. How prevalent are they? Take a look at this infographic we put together on ACL injuries in the NFL, and remember to take care of your body when you're playing sports!